Perched atop a scenic point overlooking the Sea of Cortez at the world famous Land’s End, this 4-Diamond oceanfront resort is luxury at its finest. 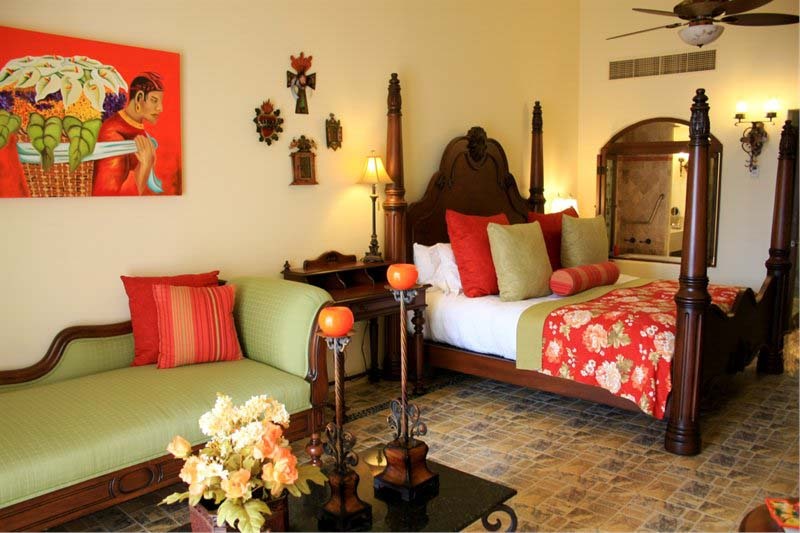 Just minutes outside of downtown Cabo San Lucas and the historic San Jose del Cabo, hotel guests are welcomed with eclectic decor, Spanish colonial fountains, and Taverna Tile murals. With world-class gourmet dining available at the resort, your appetite will enjoy Mexico’s finest cuisine. A VIP spa experience, including the native Temazcal method of relaxation, will leave you feeling replenished. From working out in the state-of-the-art workout facilities to lounging at the swim-up bar, Hacienda Encantada has first-class amenities for all resort guests. Hacienda Encantada Resort is perfect for couples and families looking to enjoy both relaxation and an adventurous vacation. 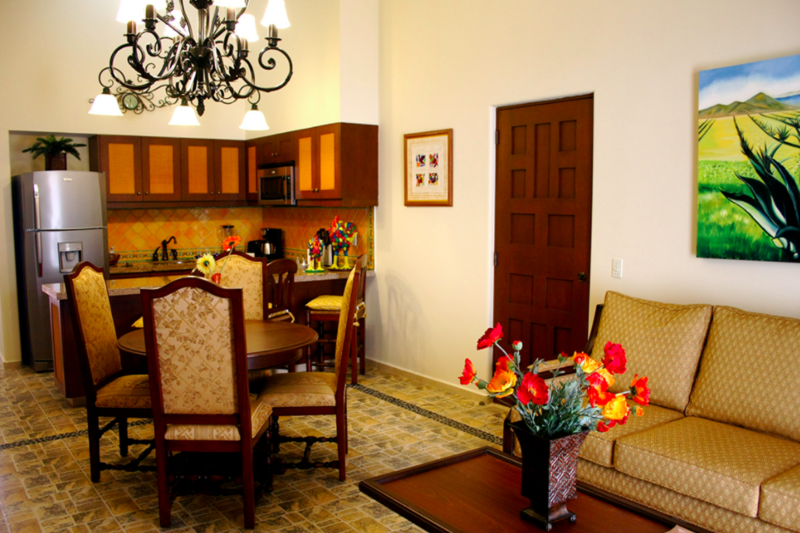 Hacienda is next to an award winning golf course as well as 5 mins from downtown Cabo. 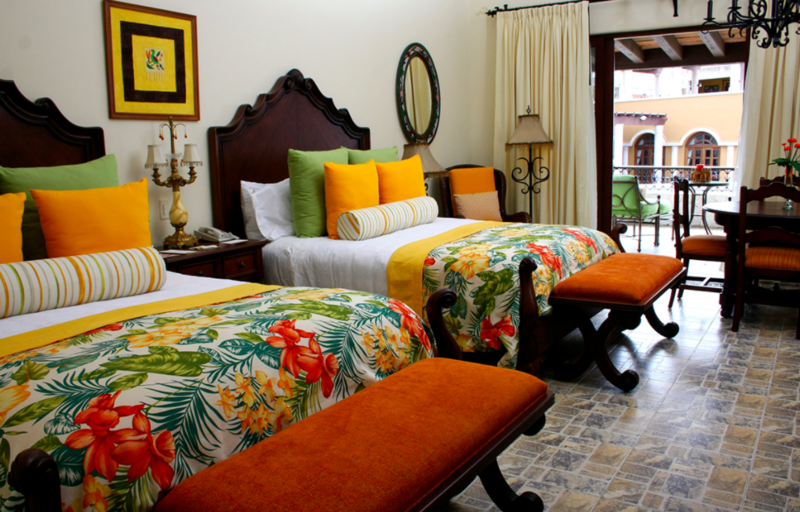 This resort features both a premium unlimited luxury all inclusive concept as well as well as a room only for travelers that like to experience local restaurants and flare. If you do go with the all inclusive option you are in for a treat with all the casual to fine dining options – No cheap food and spirit drinks at Hacienda Encantada. You have access to a gorgeous beach with amazing sunsets, but the resort recommends that you do not swim in the ocean for your safety due to the possibility of rip tides. Do not let this discourage you from booking this amazing quality resort as there is plenty of pools and aquatic excursions to be had. Distance From Airport: 27 miles (30 Min. Drive) on a direct ground transportation ride. A la Carte Fine dining & beverage experience at any of the restaurants & bars onsite that offer amazing views of the Sea of Cortes and Land´s End. Unique and amazing Dine-out All Inclusive options at a variety of selected restaurants in the Golden Zone located at the Cabo San Lucas Marina. Free Shuttle is available! Premium luxury suite with a King bed or two Queen beds, sitting & dining area, kitchen, private balcony and a full bathroom with whirlpool. 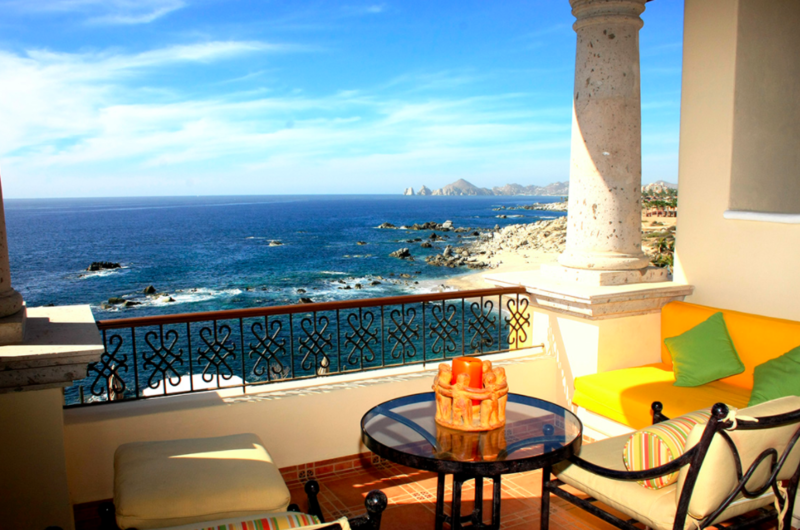 The Encanto Ocean view studios are spacious ocean- facing rooms offering amazing vistas to the Sea of Cortes and Cabo sunsets from a prime vantage point, featuring one king or two queen beds, full bathroom, balcony and minibar. Luxurious Suite featuring a King bed and a bathroom on the Master bedroom, connecting to a living room with a double sofa bed, bathroom, dining area, full kitchen and a private balcony. The perfect family accommodation featuring a spacious bedroom with a King bed, conveniently connected to a second bedroom with 2 Queen beds with sitting & dining area, kitchenette, bathroom and a private balcony. Situated only ten minutes north of famed Cabo San Lucas, Pueblo Bonito Sunset Beach Golf & Spa Resort is truly a world of its own.